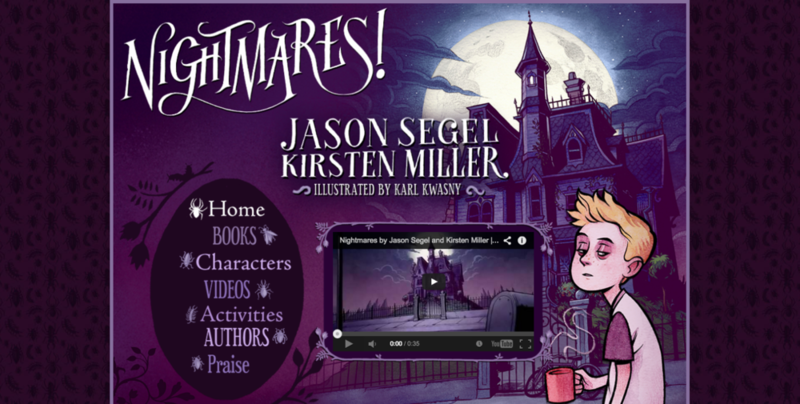 Jason Segel’s new book, Nightmares!, (co-written with New York Times bestselling author Kirsten Miller) tells the story of Charlie Laird, his unconventional family, and the fight against his nightmares that start bleeding over into his real world. 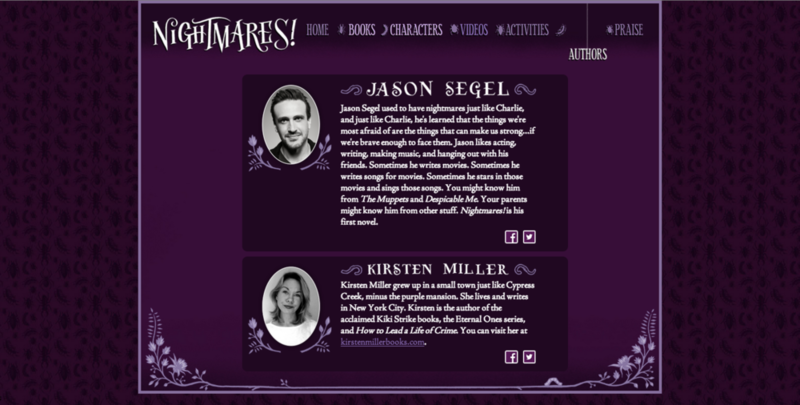 With a high-profile author, Random House turned to FableVision to develop the website and online game to accompany the book. As huge fans of Jason Segel’s work – both on TV (How I Met Your Mother, Freaks and Geeks) and in film (The Muppets and Forgetting Sarah Marshall) – we were excited to help in the launch of Segel’s literary career. An animated short invites visitors to the Nightmares! 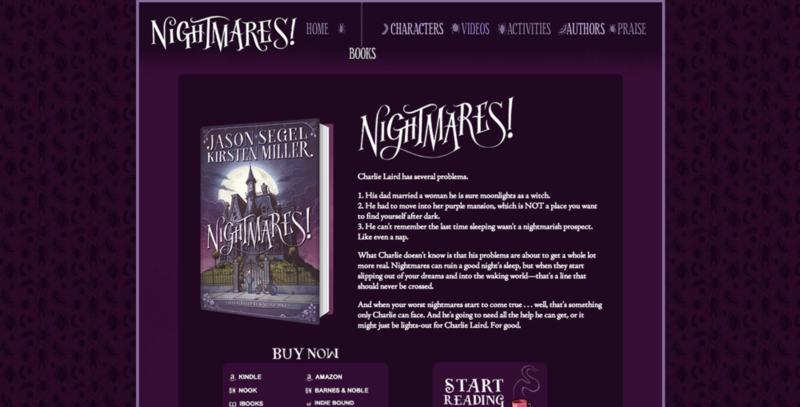 website which contains more information about the authors, book characters, reviews, and more. To add more fun to the site, FableVision created "You Snooze, You Lose," an endless runner game, featuring the character Charlie running up an endless flight of stairs in his stepmother’s purple mansion.